When I decided to participate in the Pride and Prejudice Bicentenary Challenge I honestly had no idea there was so much P&P-related material out there, from sequels to re-imaginings to alternate endings to time travel to vampires. I opted to wade into the water slowly and chose a book that tells my much-beloved story from my much-beloved hero’s viewpoint. I was intrigued. Just like P&P, the novel ends soon after the second proposal. Unlike P&P, His Good Opinion begins with Darcy’s surprise visit to Ramsgate, giving us an immediate glimpse into the unknown, an event only alluded to in P&P. The author whets our Darcy appetite from page one. While writing this novel, the author states Darcy “took up residence in her brain,” becoming “Darcy In My Head (DIMH).” After reading this novel, I can safely say he took up residence in my mind as well. I know it sounds extremely generic, but I have to just get it out of the way and say I absolutely loved this book. The author gave herself a difficult task: change the point of view of a very well known and 200-year-old novel. She succeeded by weaving the original text of P&P with her new thoughts and words for Darcy and his friends and family. We get a sneak peek into the conversations that took place after some of the most famous scenes in the book. 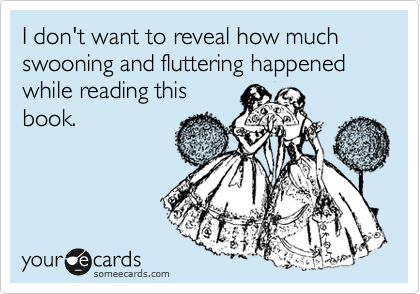 What did the Bingley sisters say after the Meryton assembly? We know what the Bennets did after the public dance, but now we see what happened back at Netherfield. What was running through Darcy’s mind as he observed Elizabeth taking care of her sister at Netherfield while also navigating the verbal landmines lobbed by the Bingley sisters? Here’s a hint – it’s the middle Darcy later refers to being in the midst of before he knew it began. And what about Rosings, the Colonel, and Lady CdB? 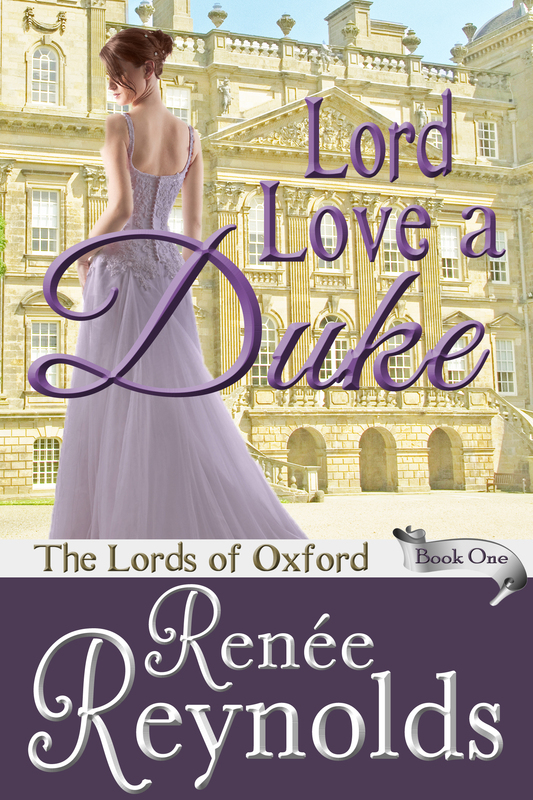 I don’t want to give away too much, but Darcy’s time in Kent involved wrestling with his desire for Elizabeth, his jealously of his cousin, and his increasing irritation with and embarrassment of his aunt. Nancy Kelley puts her DIMH-spin on all the greatest scenes, and knowing what confrontation or action came next made it very hard not to skip ahead and read what Darcy thought. 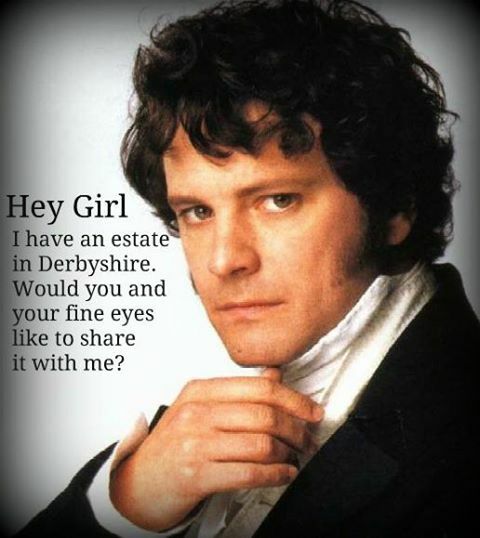 I wanted to know what the author had Darcy occupy his time with while hiding Bingley in London. I wanted to believe he knew Caroline Bingley was a conniver and schemer, even if he could not but be a gentleman in her presence. I wanted him to give Wickham a taste of his own medicine. And it’s all in this book. 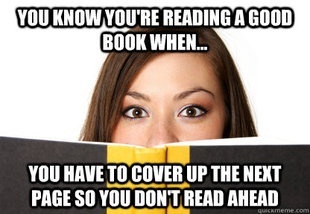 This retelling of P&P is just the ultimate guilty pleasure. We’ve all pictured Darcy’s reactions in our heads, seen his expressions, and wondered at his thoughts and motivations…or at least those of us who love P&P have. We know Darcy was given good principles but left to follow them in pride and conceit, so it feels like a victory of some sort to see that he was at that same time a good man, warring with knowing what is right before acting the way he did. One of my favorite lines from Kelley’s novel takes place after the fateful proposal at Hunsford, after he stayed up through the night thinking and rethinking, writing and rewriting his letter to Elizabeth. Seeing himself through her eyes begins to give him a better perspective on all things. After observing his aunt, he “realized once again that she [Elizabeth] was not the only one in the world with relations to be ashamed of.” Near the end of the book, hearing another voice their snide comments made Darcy “heartily ashamed to hear his own former beliefs parroted back at him. Is this what I sounded like to Elizabeth, so vain and unpleasant?” I felt like standing up and cheering for Mr. Darcy: I knew he had it in him all along! There was none for Darcy but Elizabeth…. I think this is a great book to transition from only reading Jane Austen into the deep and yawning chasm of available fan fiction. The author writes in a style similar to Austen and it’s often hard to notice when the original words end and Kelley’s begin; it is that seamless. She uses such descriptive phrases to put emotion behind Darcy’s actions: “Darcy’s mind whirled;” “he merely nodded while frantically searching for something to say;” “his gut clenched;” “Darcy felt free to grin foolishly.” The thoughts, feelings, and actions that the author imbues Darcy with are very believable and consistent to what we already know of his character. I loved reading just how Darcy was torn between all the things he had believed he should do until confronted with how each new situation made him want to act. 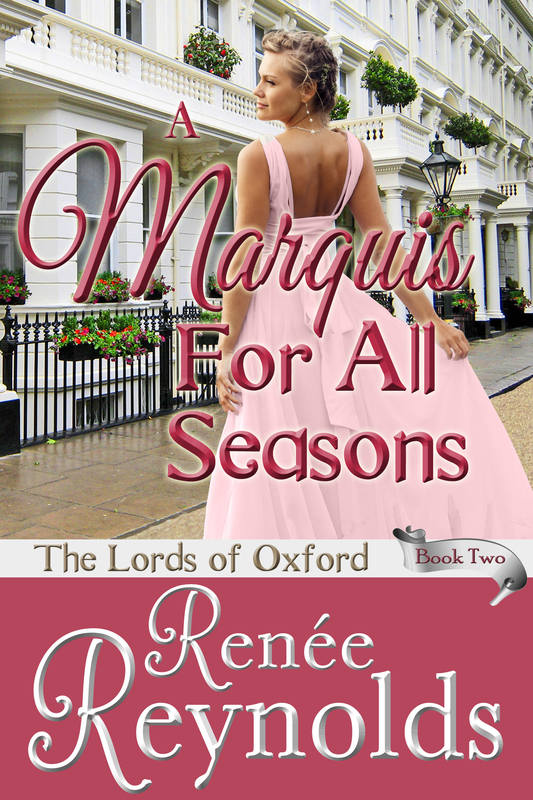 As I devoured each line I could feel the pull between Darcy’s life of propriety and stuffiness, which had lent his life tedium and given rise to apathy, and the awakening of his soul as it recognized its other half in Elizabeth Bennet. 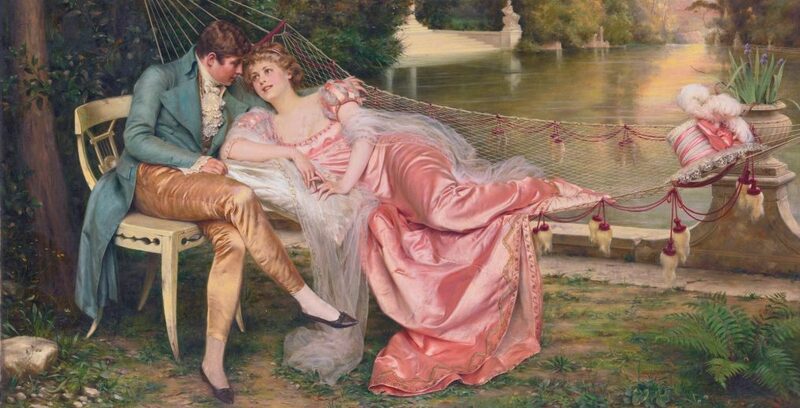 As Darcy and Elizabeth dance at the ball at Netherfield, Kelley writes, “To be so close to Elizabeth, every moment taking her hand or feeling her pass behind him, was an almost unbearable pleasure.” Yep, that was one of those swooning and fluttering parts. It was fascinating to learn all about Darcy’s opinions and how they had formed, and now how they were changing. 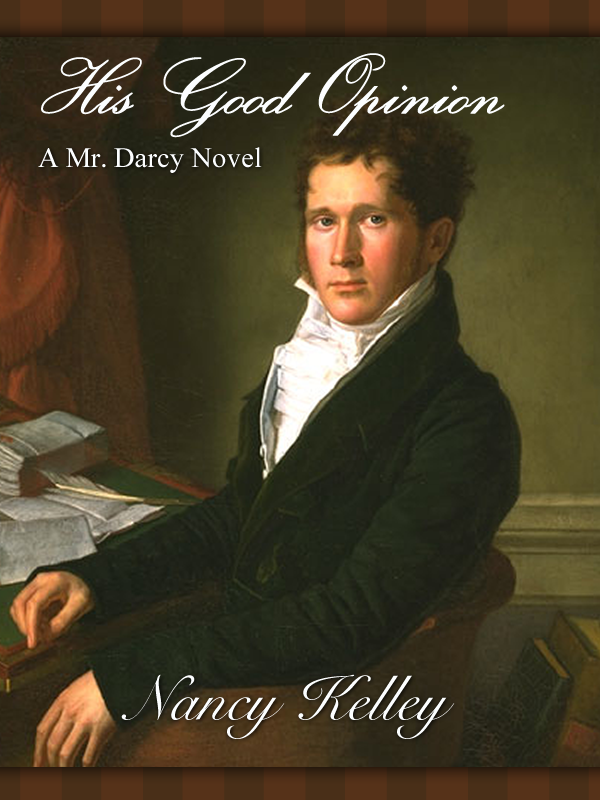 Nancy Kelley writes a terrific novel, and I think the Darcy in her head was very similar to the Darcy in mine.